Regards, dear Steemians. 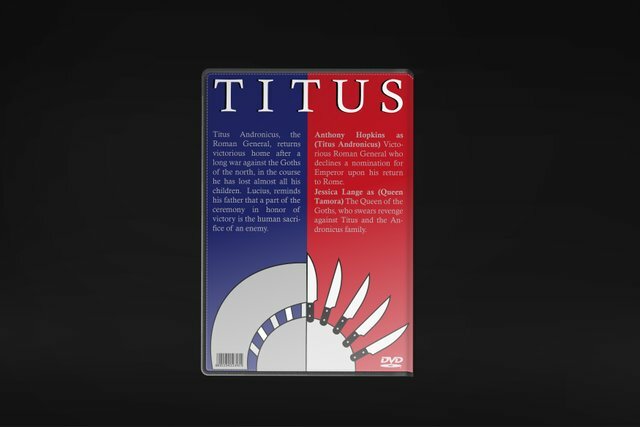 This time I want to talk about the Poster Theory of the Designer Norberto Chaves and the analysis applying the functions of this theory to a Poster of my authorship for the film TITUS of the year 1999, which is directed by Julie Taymor and based in the drama Tito Andronicus by William Shakespeare. 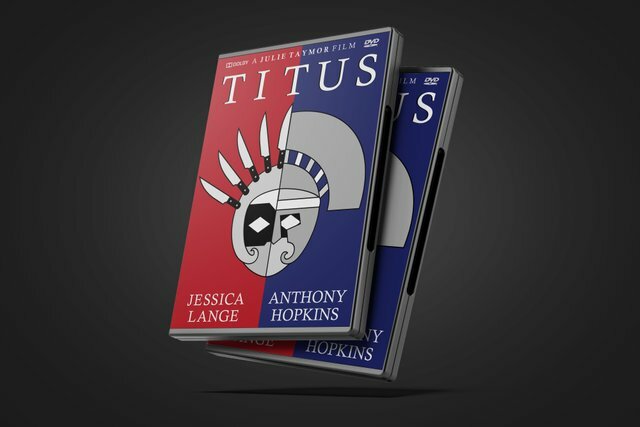 On the other hand I also want to show you the design process of this Poster and the process of designing the cover of the DVD for the film TITUS. What is the Poster Theory? It is a visual message whose purpose is to transmit an information or an accurate message to a large number of people with the intention of persuading and communicating to the recipient of said message. To fulfill this purpose of transmitting a clear message and captivating the public, any poster in the world must have six universal functions of visual language, since without them it will be difficult to interpret or read a poster. These six utilities are born from the essay ''Little theory of the poster'' by the designer Norberto Chaves, who says that by using these six functions of the poster, it will be easier for the receiver to understand everything that the poster in particular transmits. 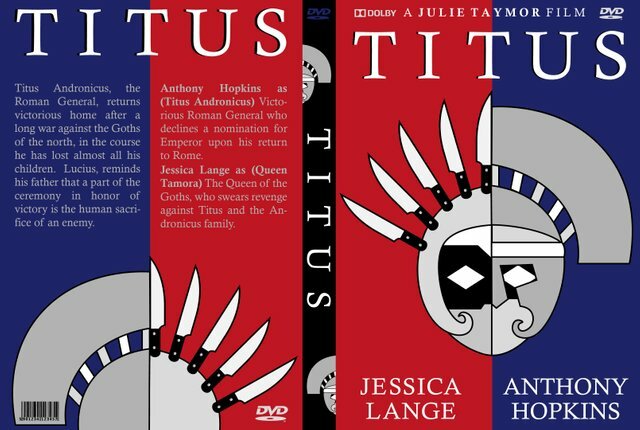 In the poster of the movie Titus, the contact with the receiver is achieved, capturing the attention due to what reflects the graphic image where there is a division in the composition representing the two main characters of this film, half with red background and a mask of knives represents Queen Tamora who seeks revenge and half with a blue background together with the warrior helmet represents Titus. (This is the message's ability to allude to the notions that the sender tries to transmit to the receiver). 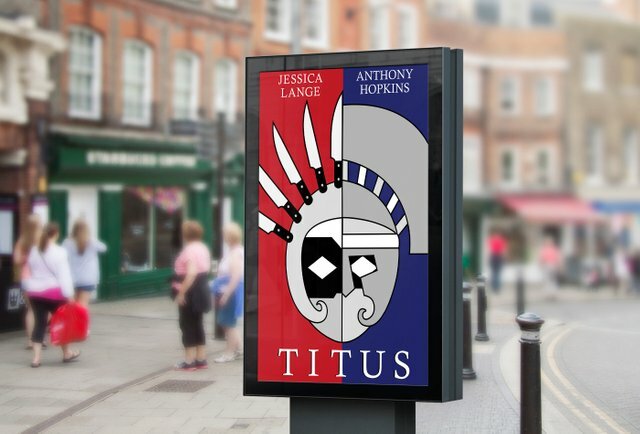 The poster is informing us about the Film Titus, which shows the name of the film, the main cast, the director of the film and the release date in theaters. 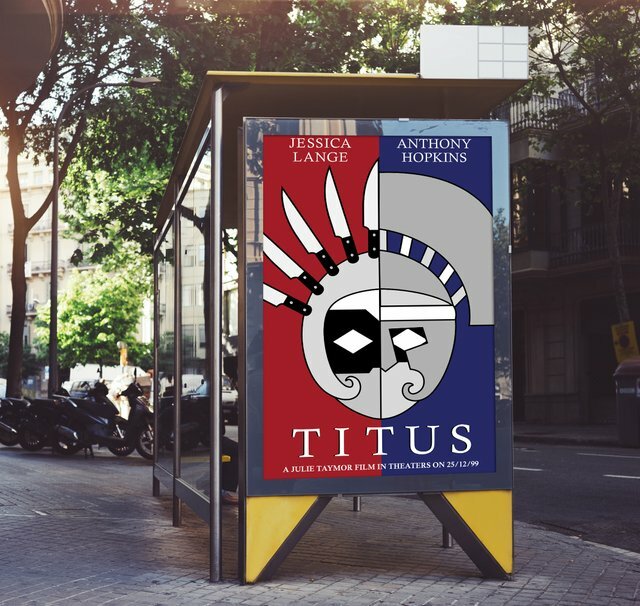 The poster seeks to encourage the public to see the movie Titus in theaters, through the graphic image that draws attention and seeks by the public wanting to know about the film, using the most relevant elements of both the protagonist and the antagonist. 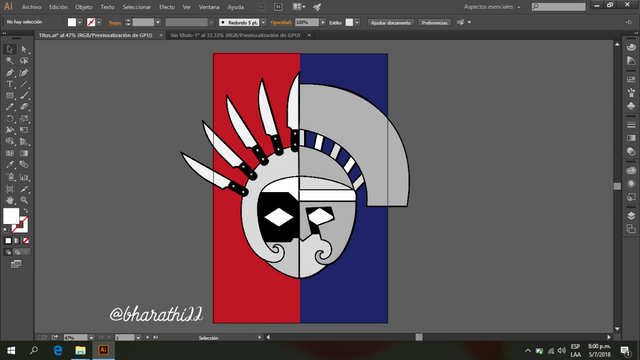 The designer's intention in making this Poster is to identify all the main elements of this film, representing the colors and features of the main characters together with the title of the film. When we visualize the division of the composition it is identified that this film is about two characters who are facing death. The visual code of the poster "The image + words" conveys a clear and understandable message from the moment the receiver visualizes it, since with the use of words where the name of the film stands out, as well as the main actors in set to the image of the mask divided in two, the understanding is achieved by the issuer. Relating that each half represents the actor that is at the top of the poster. 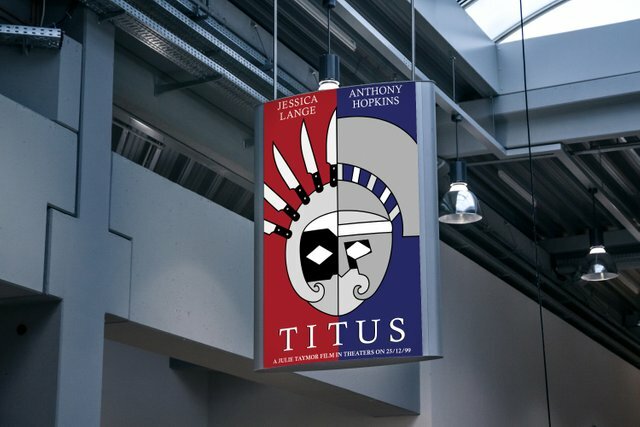 The poster has the typical colors that are used in various political parties such as red and blue, for that part the attention of the public is also achieved by creating intrigue of those who will be facing this plot. 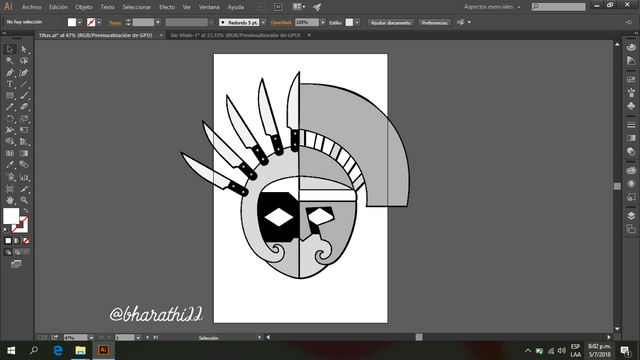 Make good use of the colors by using blacks, whites and grays in the representation of the divided mask. 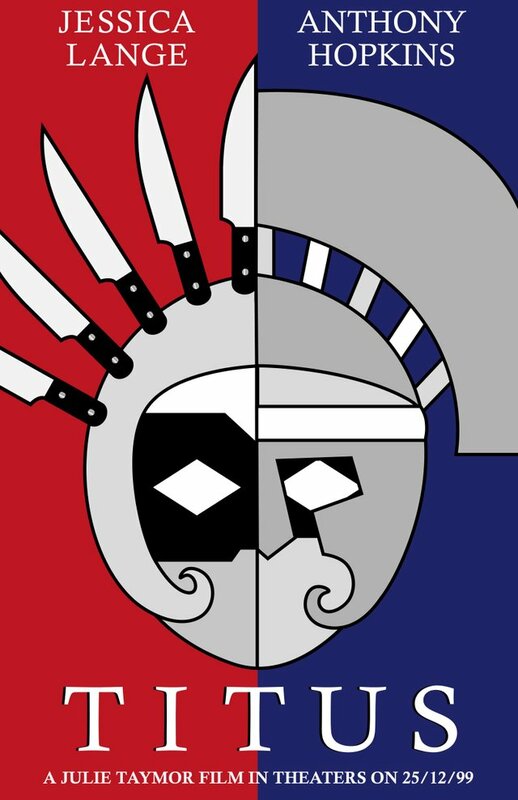 The text on the other hand is highlighted by being white in dark backgrounds such as red and blue. 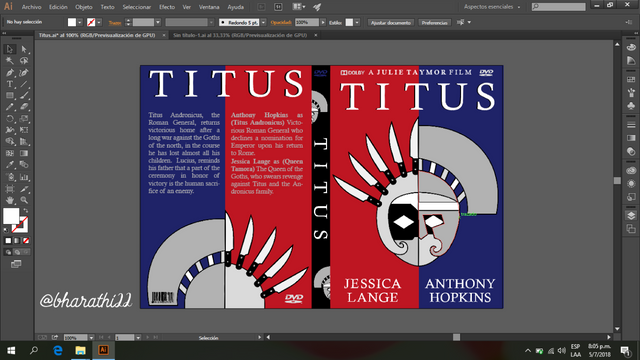 Below you can see the process of both the design of the Poster and the design of the cover of the DVD for the movie Titus. After having the poster ready, the location of the main illustration was defined in the DVD cover, as well as the use of the same colors as the poster. Finally, the pertinent information regarding the film and a small synopsis was added. That's all for today! 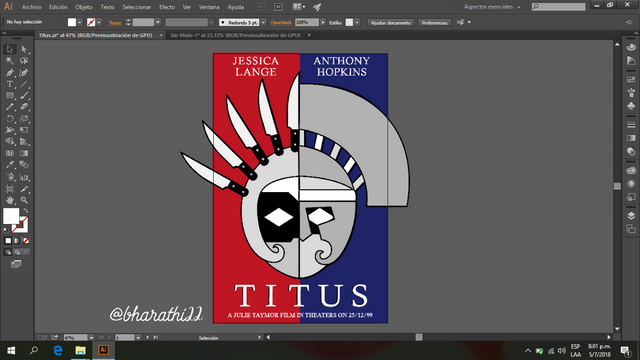 I hope you have enjoyed knowing about the Poster Theory and the functions in the design of the Titus Movie Poster. Until the next friends! Congratulations! This post has been upvoted from the communal account, @minnowsupport, by bharathi22 from the Minnow Support Project. It's a witness project run by aggroed, ausbitbank, teamsteem, someguy123, neoxian, followbtcnews, and netuoso. The goal is to help Steemit grow by supporting Minnows. Please find us at the Peace, Abundance, and Liberty Network (PALnet) Discord Channel. It's a completely public and open space to all members of the Steemit community who voluntarily choose to be there. We did notice that your are a real Artist. Do you want to share with others your great artworks and earn handsome rewards? We are pleased to invite you to join Artisteem. Artisteem is a platform, where you can contribute your artworks and earn the great reward. You even can have a chance to get an awesome prize if you participate in the contest and make it to the top.